Registered nurses are individuals who work as a team to promote better health for the society. They work in hospitals, doctors’ offices, intensive care units, ambulatory care services, and clinics. They cater to all the needs of the hospitals and patients. The path to becoming an RN is challenging and involves determination and hard work. An aspirant has to fulfill many obligations in order to become a successful nurse. One must choose the right nursing education program, appropriate medical settings to get experience and correct field of specialization in order to excel in this field. Every candidate has many doubts, questions, and queries regarding different aspects of nursing. This is because there are different facets of this profession, and it is very important that every aspirant take proper decisions before plunging in this profession. Here is a collection of various frequently asked significant questions to assist you with the information regarding registered nurse career. 1. What are the functions performed by an RN? There are many activities performed by the registered nurses. They note and update the medical history of the patients and also help them to recover fast. They supervise other nurses to ensure proper functioning. They take care of the insurance and billing section at times. They also indulge themselves in laboratory work and evaluate patients’ medical reports. 2. What degree or education credential to opt? In order to work as a registered nurse, an aspirant has to either obtain an associate degree (ADN) or bachelor degree (BSN). Every college or university has different rules and regulations for enrolling in these courses. For better job opportunities, prefer completing master or doctorate degree. 3. Which specialization courses are available for RNs? Many specialization courses are offered to the aspirants, which help them attain a higher level of knowledge and better understanding in this particular field. Nursing management, nursing research, obstetrical nursing, oncology nursing, nursing informatics etc are specific fields in which one can choose to pursue specialization courses. Some people opt for a particular field to enhance their prior knowledge, while others choose it on the basis of their interest, proper research and considering all the merits and demerits. 4. How can I find the best nursing college or school to pursue education? There are many universities and colleges which offer different nursing courses. Every college has its explicit curriculum and requirements. You can go through the official sites of the college in which you are willing to apply for the admission. You can also visit the college in person to have a better idea before taking the final decision. But remember that the college must be affiliated and recognized by the nursing board. 5. Do the nursing colleges offer online programs? There are many colleges and universities which offer online RN programs to the students. These programs are advantageous for those who don’t have time to attend the college. They are also less expensive than the on-campus programs. But, consider all the pros and cons of both the options before choosing between online and traditional nursing education. Accreditation, duration, and curriculum of the program are the most significant aspects that one must consider. 6. What type of accreditation nursing colleges or universities must have? It is mandatory that the nursing schools should be affiliated with the appropriate authority. They can be recognized by the Accreditation Commission for Education in Nursing (ACEN) and the Commission of Collegiate Nursing Education (CCNE). Otherwise, the degree won’t be considered valid in case of non-recognition. 7. How can I apply for financial help to complete the education? There are many institutions which provide financial assistance and nursing scholarships to the students who are unable to afford the college fees.These institutes have their particular obligations and eligibility criteria. The students can obtain the option of federal student aid and can seek financial aid to start the nursing career. 8. Can I become a nurse if I already have a non-nursing degree? Yes, you can definitely become a nurse even if you have some other degree. You can do this by enrolling in accelerated BSN, second-degree BSN, or direct entry MSN programs. These courses are chiefly planned for all those students who want to begin their career in nursing with a previous bachelor degree. They can apply and start attending college to obtain the respective degree. 9. What qualities are required to become a registered nurse? An individual requires a lot of qualities and skills to become a registered nurse other than the education and experience. These other skills can’t be learned in the classroom. They have to be caring and empathetic along with patient and determined. They need to be open to new challenges and surroundings. The nurses should have the willingness to learn and critical assessment ability. If you intend to become a successful RN, then develop these abilities and traits. 10. How can I acquire a license to start practicing as a registered nurse? To start working as a registered nurse, the first thing aspirants need to do is complete their program. Thereafter, obtain a license from the state board by qualifying the National Council Licensure Examination (NCLEX). Every board of nursing has their own rules, regulations, and obligations to take the exam. Once you acquire the certificate, you must renew it after the specified time period. 11. 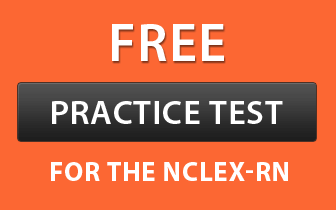 How do I get registered for the NCLEX? After applying for the license, you will get an NCLEX Examination Candidate Bulletin through the mail. You can register yourself with the National Council of State Boards of Nursing for the test via phone or through an online mail-in registration form. They will check your documents and eligibility. After all the verifications, they will send you Authorization to Test (ATT) along with a list of testing centers and instructions. You can schedule the examination as per the guidelines provided in the ATT. You can take the test again if you fail to clear it in one attempt. 12. What types of organizations appoint registered nurses? There are diverse medical settings and institutions which appoint the registered nurses. They are employed by the general medical and surgical hospitals, outpatient care centers, home health care services etc. Nurses are also required in the nursing centers and military places to take care of the sick and injured. Different insurance companies, universities, and research centers also hire these RNs to perform different functions. 13. What is the earning potential as a registered nurse? After clearing the national exam, an individual can begin his/her career and start working as a registered nurse. Different hospitals and medical settings provide jobs to the nurses, and they also give ample salary packages in the country. There are various factors which affect the salary, such as the employer, educational background, geographical location, type of industry. The average yearly RN salary is $73,550. Initially, freshers can make $54,600, but they can get an increment up to $85,960 after a few years experience. 14. What is the level of competition in this field? The nurses who are looking for jobs in this field will have to face a high level of competition in order to get employed. Numerous candidates apply for a particular job but the best ones get selected. To beat the others around you in this competition, ensure that you prepare extraordinarily impressive resume and you must be highly qualified in terms of educational background. Since this profession brings a plethora of opportunities and handsome earnings, more people are entering in this field. 15. What are job prospects in this field? There is a tremendous demand for the nurses in the United States. The field of nursing is exceptionally rewarding and gratifying. Nurses are required everywhere in the medical settings and hospitals in a great number. New RNs are looked-for due to the retirement of old nurses in the near future. All the statistics and reports clearly show that there will be an outstanding increase in the employment opportunities for the nurses. 15% growth in the demand of these professionals between 2016 and 2026 has been expected by the Bureau of Labor Statistics. 16. How do I expand and advance my registered nurse career? In this field, you can expand your career by enhancing your education credentials and getting a better experience. You can pursue Master of Science in Nursing (MSN) or doctorate degree to get better job prospects and salary packages. The employers and recruiters prefer candidates with higher education than the individuals with the minimum education background.